BLOOD OF DRAGONS by Robin Hobb. Tintaglia is on her way back to the Rain Wilds to reclaim her Elderlings, but her flight is hampered by the pain of infection and Chalcedâ€™s cruel arrowhead beneath her wing. She has left Icefyre behind. For a time they mated and fought and travelled together, but that is not the way of dragons. Torn between what she wants and what her ancestral memories tell her she should want, all she can do is fly and hope her Elderlings will help her. Now that Elderlings have returned to the world and claimed their city, Aliseâ€™s life has changed once again. All of her study, all of her hopes to be the one to uncover the cityâ€™s secrets and preserve its memories are now irrelevant. All she has craved for so long is gone, and even Leftrin, her true love, has set sail on his liveship, Tarman, leaving Alise feeling more alone than ever. Her only choice is to carve herself a place in the new world. Elderling singer Selden has been taken captive, tortured and tormented as a â€˜dragon-manâ€™, his plight becoming more dangerous by the day. Hestâ€™s situation too becomes more dire, as his journey to reclaim his errant wife turns into something infinitely darker and beyond his control. The desperation for the dragons to take flight and enter the city of Kelsingra has reached a new level. Their inability to fly or hunt for themselves is stunting this new generation of dragons. Blood of Dragons follows all of these now familiar protagonists as they continue their struggle to rediscover the lost city of Kelsingra and survive Chalcedâ€™s corruption. Thymara and the new Elderlings have their work cut out as they endeavour to learn the secrets of Kelsingra and the ancient Elderling magic without losing themselves to its memories. For everyone else, just trying to survive is hard enough. So too continues the story of the bird keepers and the betrayal that stretches throughout than the Rain Wilds. The correspondence between the various bird keepers and the guild allows us glimpses of some of our heroes of the past and truly rounds the story, illustrating the wider implications of Chalcedâ€™s plot and the dragonsâ€™ return to the world. These familiar characters and echoes of elsewhere remind us we are still well and truly in the world of Hobbâ€™s earlier and treasured works. The multiple point of view characters in this book, which include the dragons, mean the reader experiences action and reflection on every aspect of the story. This is a great strength of the series as a whole. There are so many different characters with so many varying motives that this personal view of each of them is necessary to empathising with them and understanding the action. Description is beautiful and detailed as expected, and this volume exceeds expectations about the treasures and answers Kelsingra can offer. Fans of Hobbâ€™s earlier work will be particularly pleased, as the allusions to other characters and prior events bring back fond memories stretching as far into the past as The Farseer Trilogy. 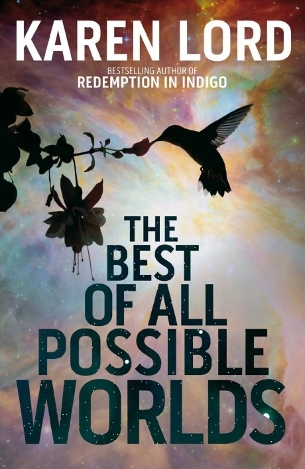 Now the series as a whole is visible, the strength of Hobbâ€™s writing and the scope of her imagination are once again visible too. The story transports the reader to another place and reminds us of everything that exceptional epic fantasy can achieve. The final part in The Rain Wild Chronicles certainly doesnâ€™t disappoint. The book concludes a series which has detailed the return of dragons and the evolution of a new generation of Elderlings to a world which had all but forgotten them. 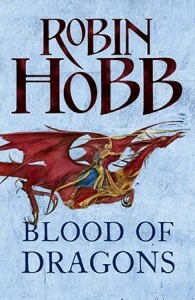 As with all of Hobbâ€™s work, the end of the series brings an end to a story, but the scope and possibility of all that is happening in the world suggests the action is not yet over; Blood of Dragons is a superb end to a series, but also heralds a new beginning for a world that has been changed.